If you’re cooking with chocolate, it’s hard to make something that’s not delicious. Here are 9 fantastic ways to use it. 1. Dipping. Forget strawberries and pretzels. There are so many more fun things to dip, like wafer crackers, cornflakes and saltines. 2. Cocktails. Cold with whiskey or hot with rum, chocolate makes any boozy drink more luxurious. 3. In bread. Add cocoa powder and chocolate chips to brioche dough to make an unusual, rich, lightly sweet loaf. 4. On bread. For the world’s simplest snack (and a favorite of mega chef Fera Adrià), melt chocolate on toast, drizzle with olive oil and sprinkle with sea salt. 5. Brigadeiros. 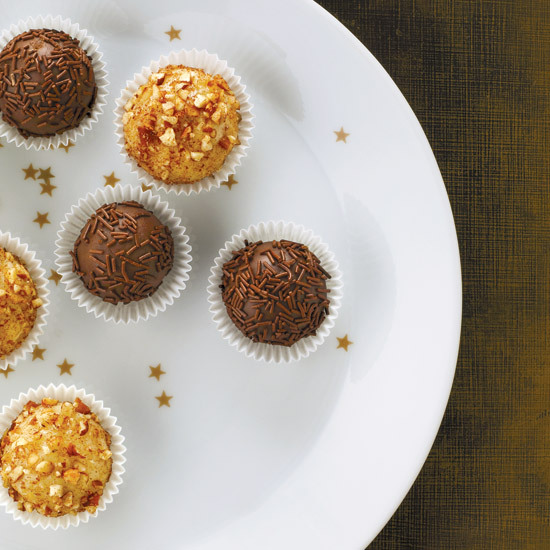 Melt chocolate with condensed milk to make caramelly Brazilian truffles. 6. DIY Nutella. Win at life and make this buttery chocolate-hazelnut spread. 7. Homemade candy bars. Skip the store-bought Mounds bars and cover a sticky coconut filling with melted chocolate. 9. Tart. Ok, a chocolate tart might seem standard, but how about one with a pretzel crust?